The Firefox browser has always thrived as the underdog; the "alternative" browser of choice. It's this sort of identity, along with it's historically strong security record and OpenSource nature, that had propelled it and its predecessor, "mozilla browser", to near 50-percent usage share by some counts. More recently, however, with the browser-market saturation expanded by the additions of Apple's Safari and Google's Chrome browser, Firefox's usage-share has been experiencing a downward trend; even as the newer additions to the browser-market have seen exponential user growth, i.e. Chrome! There are a number of legitimate reasons why one would have multiple versions of Firefox installed on one system. While, it's generally ill-advised to have multiple versions of the same package/software installed--as it could create resource conflicts and system hangups--recent versions of Firefox have become more stable in this type of scenario. 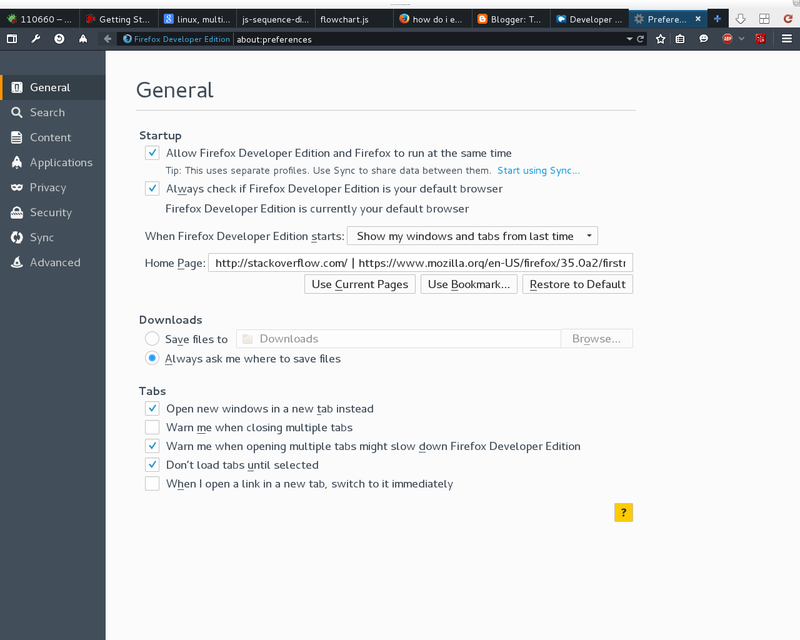 The Developer Edition of Firefox, for example, has an option under Preferences that specifies whether or not to "allow Firefox Developer Edition and Firefox to run at the same time" through the use of different Profiles. Oh Mozilla, your heart pure as Vanilla. If it wasn’t for you, I’d move to Timbuktu.